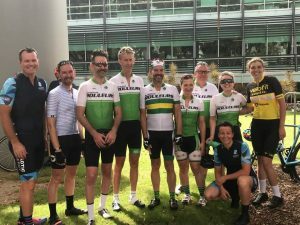 the latest uci qualifier was run in brisbane last weekend with a contingent of spr riders heading over. 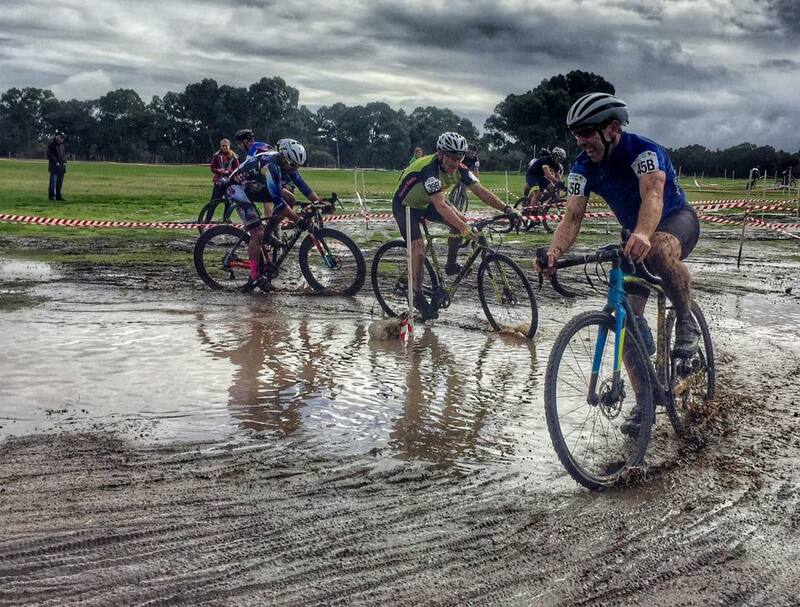 a new event with a great big hill in it makes this the third qualifier in australia after amy’s and bathurst. for something a bit different, there was an nrs level event run on the same course before the qualifier with teneal and kate bonner giving that a crack. 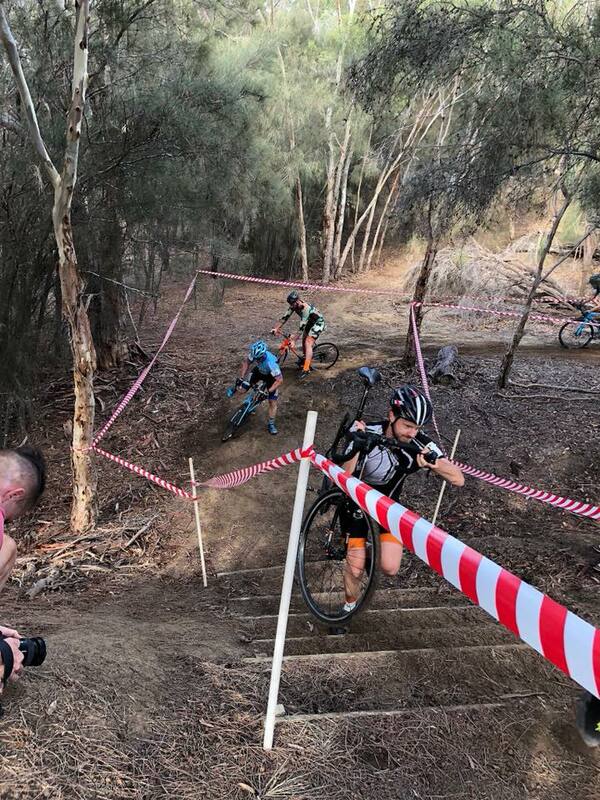 teneal was there in the sprint and and came in 8th overall with kate rolling later with the bunch. there were also a couple of our riders that managed to gain a qualification and now have to decide whether to go to poland. 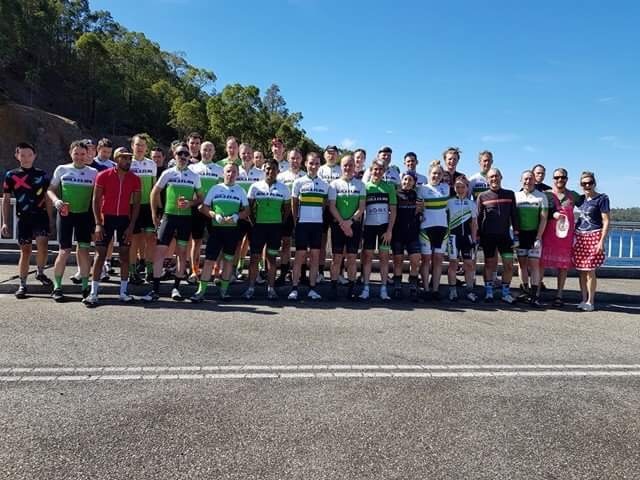 the 7th annual vice president’s good friday ride – due to inclement weather predicted for good friday, the vp ride has been postponed to easter monday. now, in it’s 7th year, it is more about tradition, then training. see the previous post for further details. 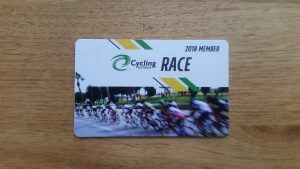 memberships new changes – if you are a member of another club and want to change to spr then it is simply a matter of calling up cycling australia memberships and giving them your membership number. i have requested that an additional fee is not required and most people don’t care what club is written on their card as long as they are in the right club in the system. it should be a zero fee transaction and if they ask for anything, tell them to contact the club. 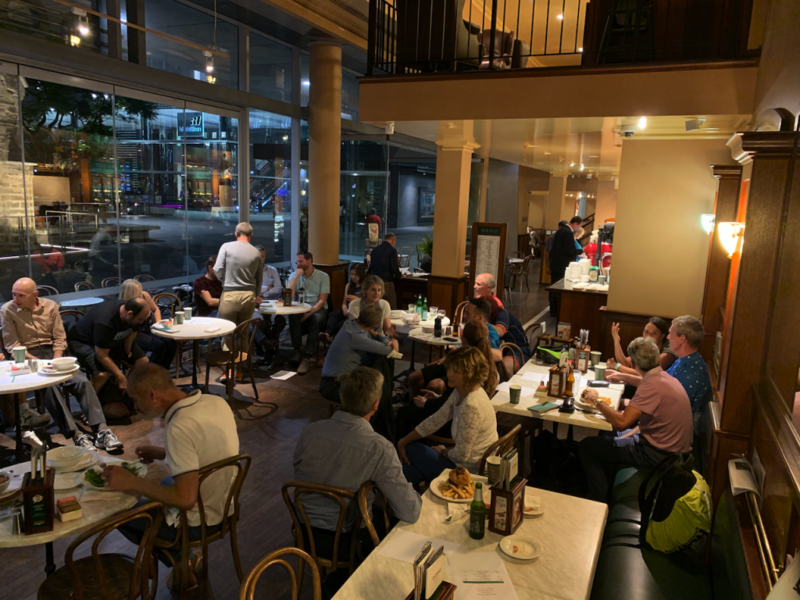 Tonight we held the first ever formal meeting of SPR’s Ride Leaders at Dome Westralia Square. With over 30 in attendance, the evening included the group getting to know each other a little better as well as general networking and socialising. A huge thank you goes to Toby for hosting our evening and creating a great atmosphere for us. The evening involved the team workshopping ideas for how to improve the safety and enjoyment of SPR’s training rides with lots of great ideas and recommended solutions being offered. 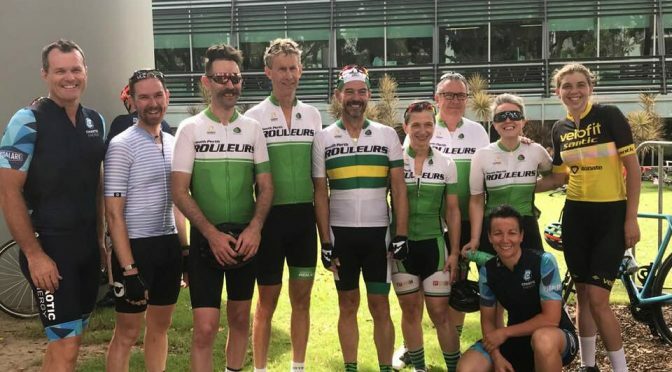 Going forward, it is envisaged that a sub-set of this group will create a formal sub-committee that will meet 3 times a year to further contribute to the improvement overall of SPR’s training rides. 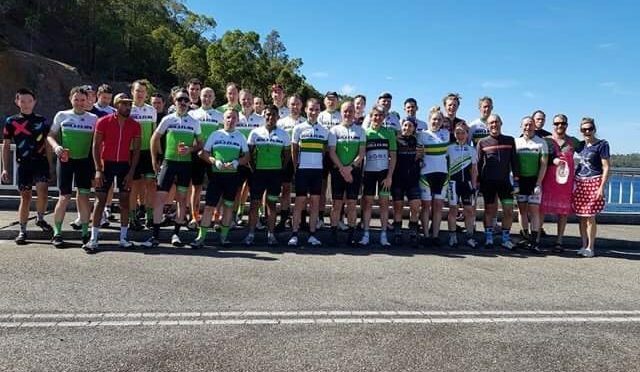 One of the great ideas ready for immediate implementation will be that Ride Leaders will encourage riders in their group to communicate calls as normal (ie: “car back”) but to also include a polite “pass it up” or “pass it back” following the call. This is in pursuit of increasing communication across the board and aiming to improve the distribution of important information throughout the group. So…if you’re reading this….pass it up…!! i remember posting this photo with the caption embedded into it less than a year ago. at the time there was a push going on to keep cyclists safe by recognising them as real people. the “could be a…dad, son, cometti etc” campaign attempted to put a human face to people on bikes. now, less than a year later we are faced with the same thing again. an australian study has found that half of all drivers do not see cyclists as totally human in the evolution process (that incidentally depicted a person evolving from a cockroach). 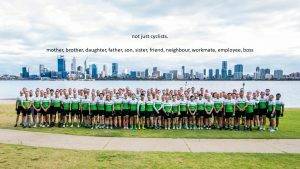 thanks to now senator derryn hinch who on his shock-jock radio show famously referred to all cyclists as “cockroaches on wheels”, we have been always fighting an uphill battle. 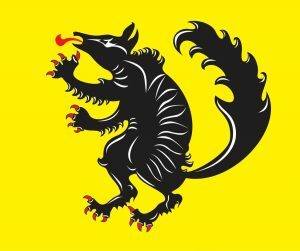 so, what do we actually do about this? complain, blame, whinge are all good options but these are usually found on twitter by another president. what we have to do is be human and make human contact. wave when someone lets you through (even if they have to legally), say hi when you are stopped at the lights (don’t be this elite, arrogant, arse taking up a lane. if they have their window down, say hello), be aware of other road users and make room when practical, most of all “own it” (if you do something stupid, make eye contact, wave and apologise). it is up to us to break this cycle and show that we have moved a little further up the evolutionary chain. 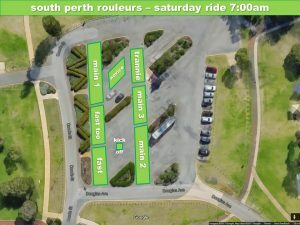 spr 10 year anniversary – south perth rouleurs 10th anniversary celebrations sare kicking off this saturday with a traditional river ride. 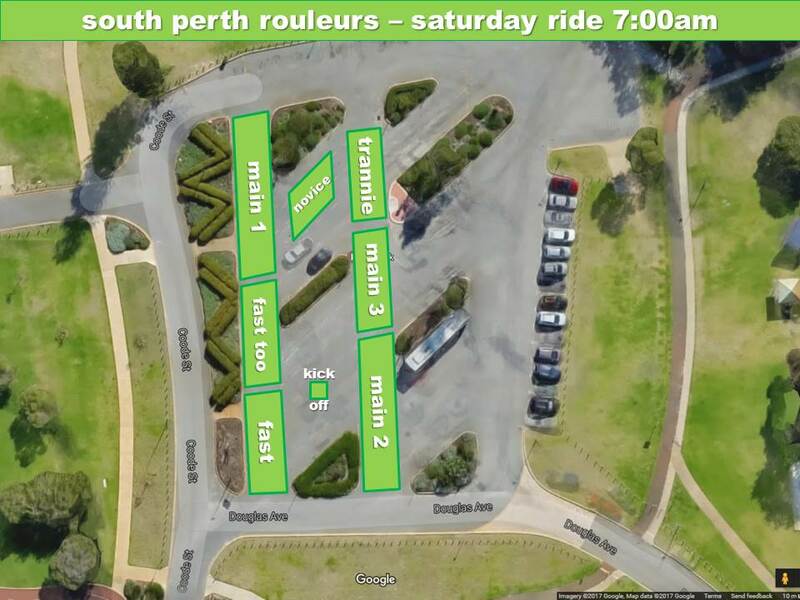 following the traditional “great perth bike ride” route which is very similar to the earlybird. 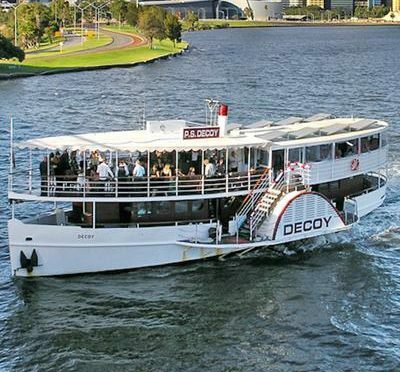 the evening’s festivities will also revolve around the river but in the form of a river boat cruise. 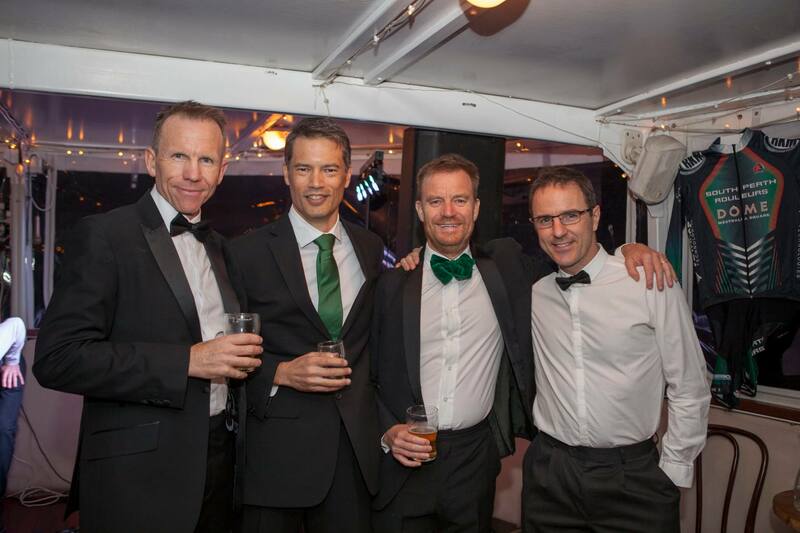 tickets are still available for the cruise and it is a black-tie event not to be missed. see the previous post for more details and ticket sales. 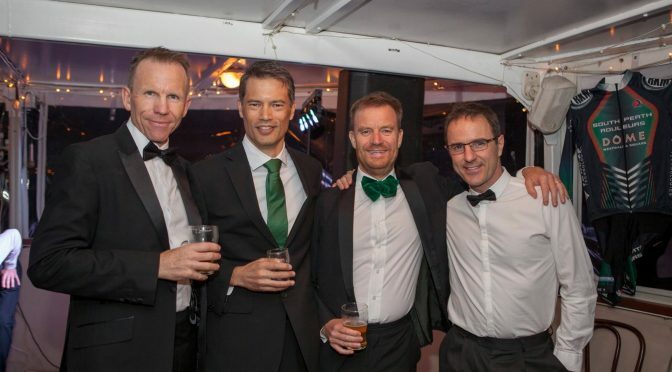 anniversary quiz – To get everyone in the mood for April 6th, we thought it might be a good idea to look back at the last 10 years of SPR history in the form of…you guessed it…a quiz!! The quiz has been designed to test your knowledge of both the history of the Club as well as current events, people, geography and general knowledge. 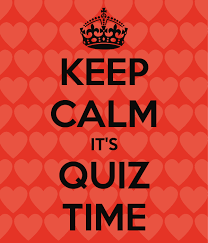 There will be prizes for the most number of correct answers down to 3rd place…but there’s a catch! To be eligible to win one of the prizes, you MUST be on the PSS Decoy on the night of April 6th; no exceptions! Entries close midnight April 3rd, 2019! TAKE ME TO THE QUIZ! 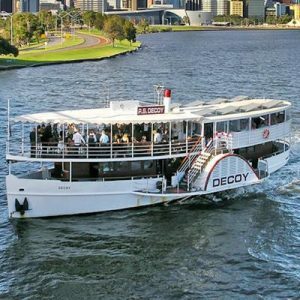 SPR 10th Anniversary Cruise – Last Chance! The PS Decoy is an icon of the Swan River. SPR is an icon of the River Loop. 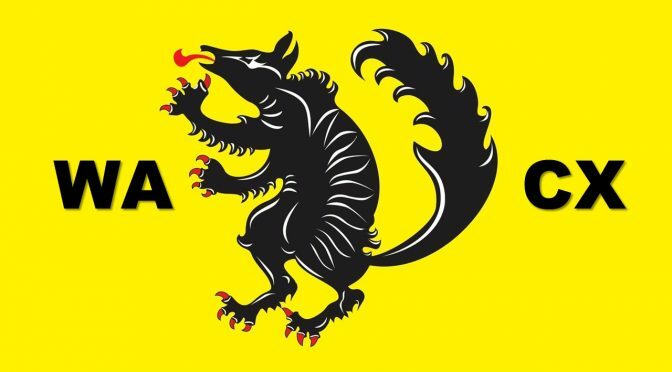 We have secured an opportunity to combine the two icons and enjoy some time off the bike together, in celebration of the 10th Anniversary of our Club. Tickets will be available until Thursday night, 4th April and can be purchased here. 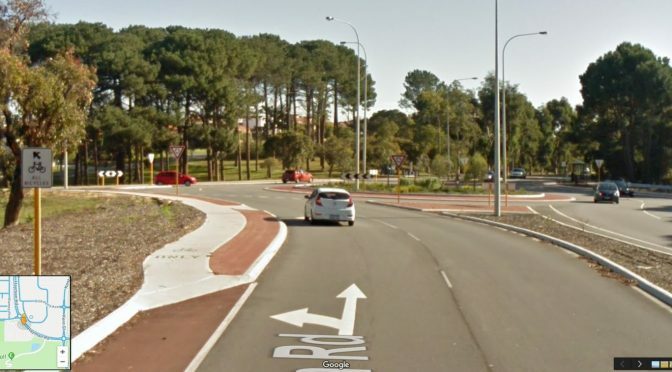 so this is a roundabout near my house. the friday ride route passes by here and the sunday rides regularly come through here from the other direction. have a look at the middle left of the picture and you will see a traffic sign that says “all bicycles”. on friday, we don’t obey the sign. i totally understand why the council/main roads would do this. 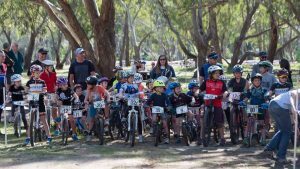 for the mummy and daddy riders, a roundabout can be a tricky experience. 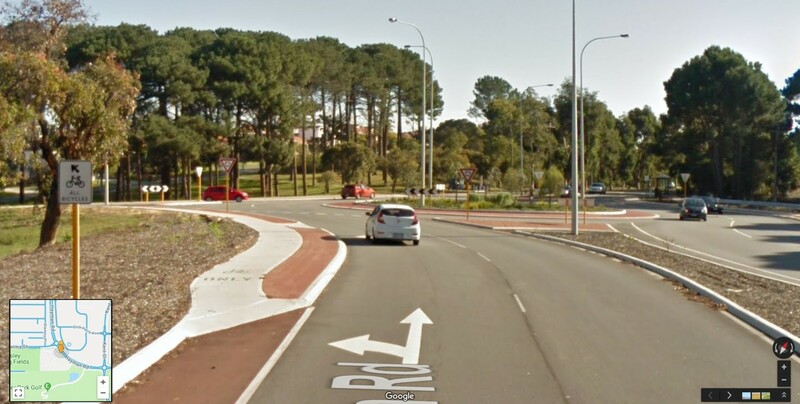 especially a double lane roundabout like this one. however, what i see it doing is giving drivers a free pass to not look out for cyclists as they have already been forced off the road. 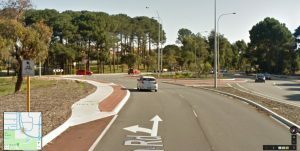 the riders in this example would need to stop twice and give way to traffic before continuing down the road. if they stayed on the road, they would only need to give way to any traffic coming from the right. again, my view is that a potentially dangerous situation is “fixed” by taking the vulnerable road user off the road rather than forcing all road users to be responsible for their actions and therefore actually looking out for cyclists. as i move around the city i am seeing more and more of these examples coming up. 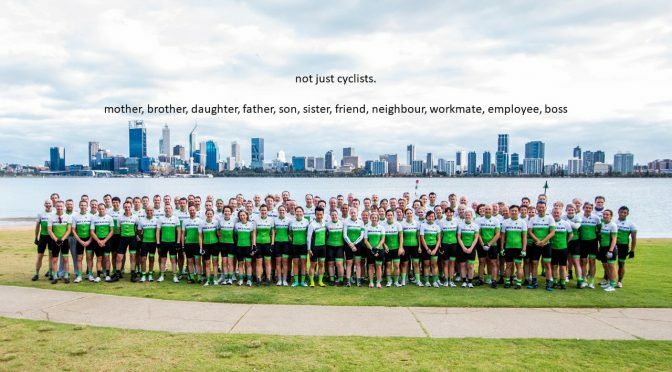 by making cyclist have to stop and start in order to “protect their own safety” does not actively promote the sport or the correct behaviours in other road users. ride leader sponsor –The ride leader sponsor for March is Babylon Pump & Power LTD. They provide specialist equipment rental, diesel rebuild/maintenance and project support to the resources sector. from the ride coordinator – our new ride coordinator is greg jones, so from now on you can blame him if you come home into a headwind – This week’s forecast is for strong easterly winds, so as you head out into the teeth of it, suggest you channel your best Jen’s Voight who is known to have said “ When my legs hurt I say ‘Shut up legs ! Do what I tell you to do’”. Oh and enjoy the ride home and the coffee that you deserve when you finish.